It’s not uncommon for a neighbor to be annoyed by a barking dog, but one disgruntled man has claimed this irritation caused him $500,000 worth of emotional distress- and the courts agreed. Denise Norton’s dog Cawper is known to bark and howl at volumes reaching up to 128 decibels, a level surpassing that of a chainsaw or clap of thunder. 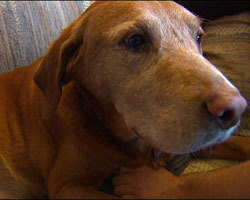 The lawsuit, however, claims that the dog intentionally inflicted “profound emotional distress”. The claim seems laughable at first, but that’s exactly what led to its success in Seattle courts. Norton claims she didn't take the lawsuit seriously and left her neighbor's claims uncontested. ABC7 reports that as a result, the lawsuit judgment went to the plaintiff by default, leaving Norton with insurmountable debt. Norton has since put her house up for sale and is seeking legal help to reverse the ruling. Two weeks ago, we reported the miraculous resurrection of Bart, the cat that was buried after an unfortunate accident appeared to have left him dead. 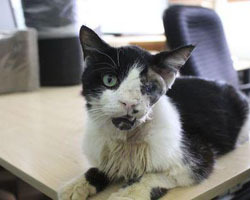 Once Bart’s owner discovered that his cat was actually alive, he sought help to pay for Bart's much needed medical care. In what seemed like yet another miracle, Bart’s owner found the help he needed in the form of substantial donations from the Human Society of Tampa. This week, however, the charitable spirit of this gesture has been brought into question as the agency has suddenly decided to keep the cat. Reuters reports that the nonprofit decided not to return Bart after learning more about the circumstances leading up to his burial. Though the agency claims animal welfare investigators are evaluating the Huston home, a welfare check has already been conducted and a spokeswoman from the Hillsborough County Pet Resource Center has denied these claims. Hutson believes the agency is seeking to use Bart as a fundraising tool and has filed a claim with the courts requesting the return of his cat. 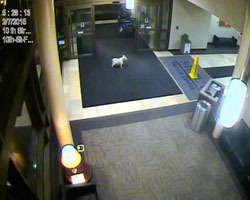 It’s not unheard of for a dog to travel far and wide to find their way home after becoming lost; however, one pooch upped the ante after travelling more than 20 blocks from her home to find her owner. Nancy Franck has been battling uterine cancer for some time, leaving two of her beloved dogs under the care of her husband, Dale. Sissy, the couple's miniature schnauzer, decided earlier this week that she couldn't stand to be away from Nancy for another moment. ABCNews reported that the 11-year-old dog traveled nearly 20 blocks along a path she had never walked before to the hospital at which Nancy was staying. When hospital security discovered what Sissy had done, they decided to allow Franck's daughter to bring the pooch into Nancy’s room for a short visit. Both Nancy and her husband Dale were astonished by the pup’s exploit but were happy she made it safely. 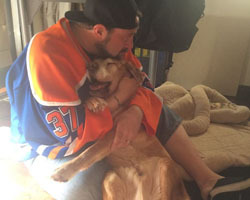 Kevin Smith is a name most people recognize as the man behind Clerks, as well as countless other cult classics; but many of his fans are less familiar with Mulder- Smith’s beloved dog. Mulder received loving care that sustained him for a remarkable 17 years before passing away this past Wednesday. In an attempt to unload the emotional burden, Smith made an eloquent epitaph for the pooch that has inspired many around the web to do the same. 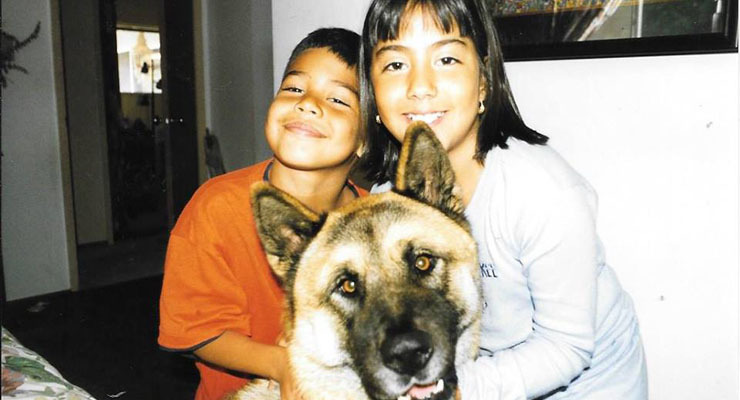 Dr. V of the PawCurious blog followed suit by commemorating the memory of her late dog Kekoa. Vogelsang celebrates Smith’s words as an invitation for dog owners to share their pain and receive support from other pet owners that know the feeling. Grieving a pet can be a difficult experience- but it’s not one we must face alone. In this same spirit of sharing, I’ll deviate from my normal M.O and post a bit about my memories of losing our Akita, Shogun. Shogun was a damn good dog and I often look back at our time together with regrets. I'll wish I had taken him out for more walks or had just spent more time with him in the backyard, where he loved to lounge on our porch and chase after the squirrels that taunted him from atop our fencepost. In reality though, he had a happy life; nothing is ideal- but I’m thankful for the time we had. When he passed, I pent myself up in my room and watched the “Jurrasic Bark” episode of Futurama on repeat until I was too dehydrated to continue crying. No one in my family really shared their pain and, as a result, many years passed before we even considered caring for another dog. In retrospect, I wish we had relied on each other a bit more in our grief. In any event, we still miss Shogun and think of him often- because as it turns out, our dogs never leave our hearts. So remember your pooch and remember him often- because he was, and is, a very good dog.